I haven’t tested much external SSDs but this one of the most good looking I have seen in recent months. 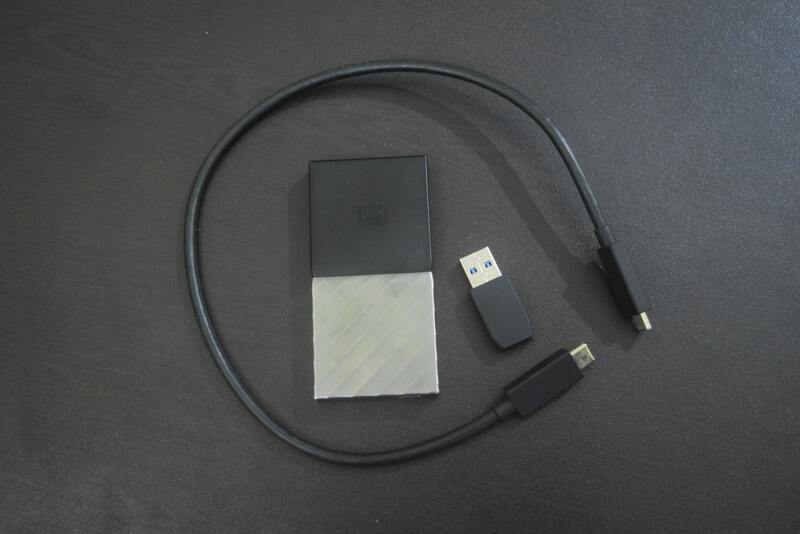 My Passport SSD is very small and can easily in your pocket without taking much space. To give you an idea about its size, it is 99 mm long, 45mm wide and 10 mm wide. It comes in a two-tone color palette with a silver ridged lower half having gunmetal finish and matte black top. It weighs about 40 grams. It is not water resistant but can survive the drop of up to 6.5 feet. It has USB type-C port at the base side. It comes with a type-c cable that is around 45 cm long. It also has bundled USB Type-A adapter for legacy port support. It comes in up to 1TB of storage option. The One I tested was of 256 GB storage capacity. The SSD comes with WD Discovery software for Windows and Mac both. Depending on your system, you can install it. It also comes with WD Back, WD Drive, and WD security applications. The WD Backup software makes it easy to automatically back up your important files to your dive or Dropbox. The drive is also compatible with Apple Time Machine backup. The drive also include 256-bit AES hardware encryption that is the strongest commercial encryption to date. You can use the WD Security software for turning it on. I was not able to hit WD’s claimed 500 MBps+ even in benchmarks. I tested only with TYPE-C USB3.0, TYPE-A USB3.0, and TYPE-A USB2.0. The drive is USB 3.1 Gen 2 ready but I didn’t have a system to test with that. 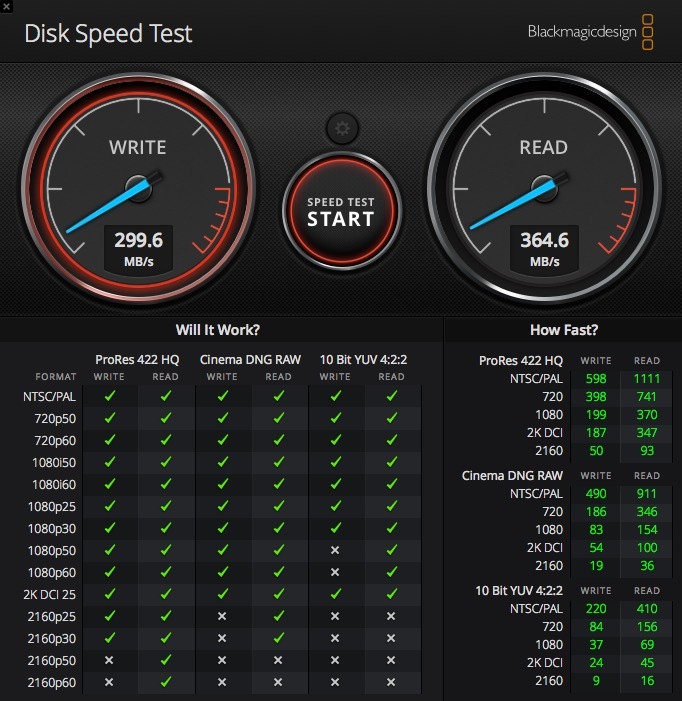 I used the Disk Speed Test tool by Blackmagicdesign on my older MacBook Air model and checked it on TYPE-A USB2.0. Still, It was offering around 300 MBps write and 230 MBps read speed. Later I tested it with my MSI GL62M 7RDX gaming laptop where it scored better on both TYPE-C USB3.0 and TYPE-A USB3.0. 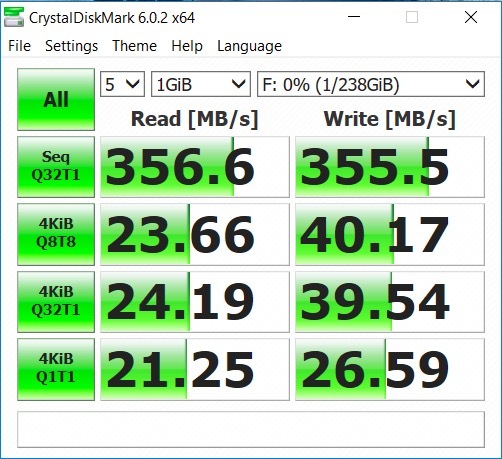 Here is the screenshot on CrystalDiskMark. In the real world test, it was not as fast. I sent a large folder of 7GB and the data transfer speed was around 130 MB/s. The Disk comes pre-formatted in exFAT file system, so it will work with both Windows and MacOS right out of the box. 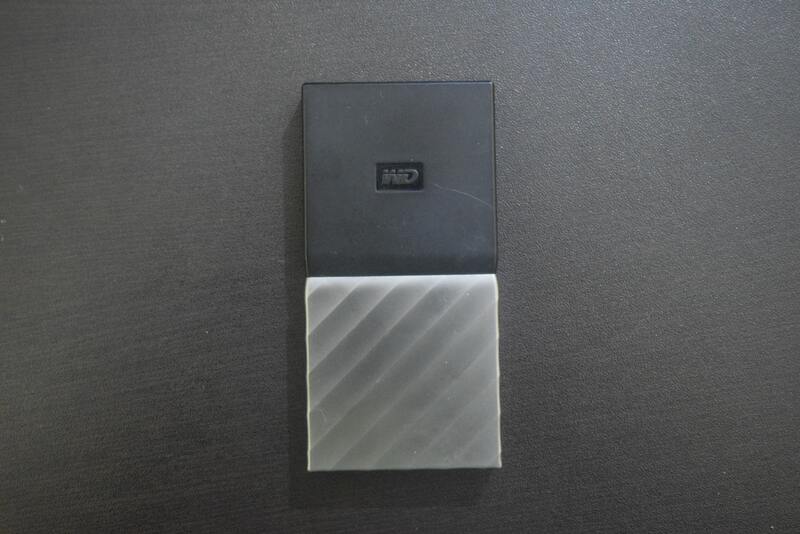 It is one of the fastest portable storage drives available in the market. 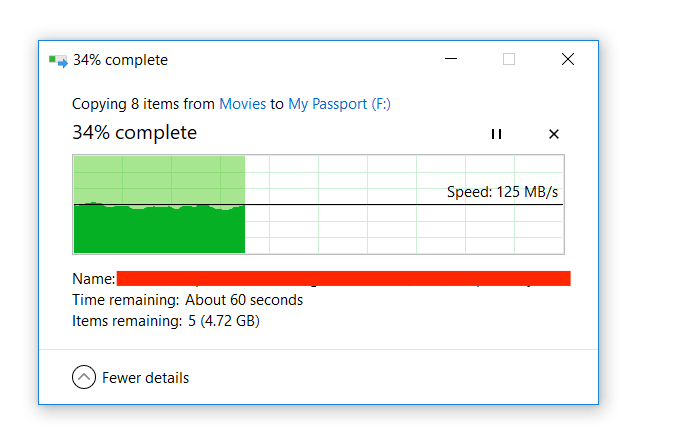 The WD My Passport SSD delivers solid performance. 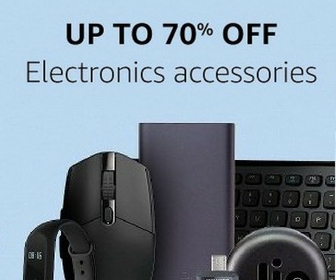 It also looks good and comes with USB Type-C. As it comes with type-C cable, you can directly connect it to your smartphone as well. I used it with my OnePlus 6T. Additional software features also add a value. It will compete against Samsung and Adata’s offerings. In comparison with competitors, it is a bit slower than them. 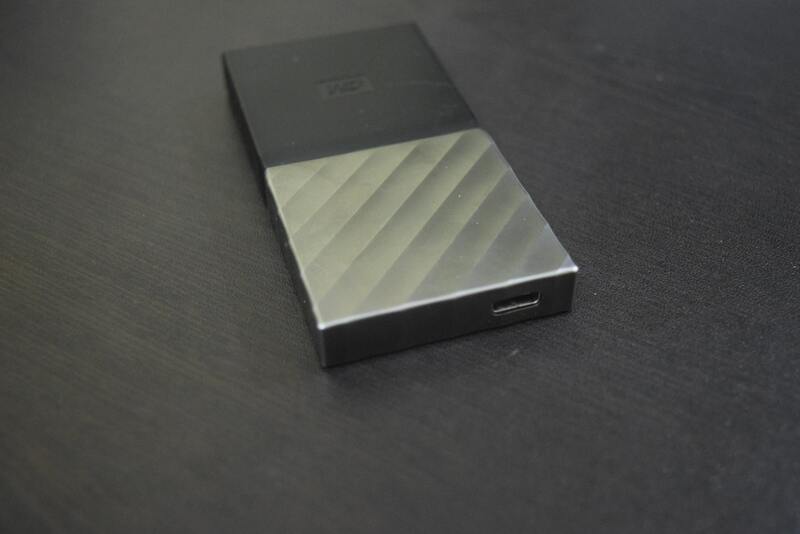 "It is a an impressive portable SSD drive for those who need to carry data on the go and get faster access to it."